Neill Blomkamp burst onto the scene with his first feature film, District 9, an original science fiction thriller. 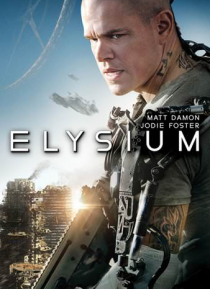 In his new film, Earth is ruined and over populated with people trying to get to ELYSIUM, a man-made space station for the extremely wealthy. Max [Matt Damon] agrees to take on a life-threatening mission to try to save the people left on Earth.